my photo in the current issue of blender. The one with Britney on the cover. 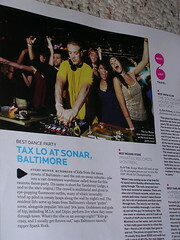 They named taxlo as best national dance party of the month!